The garden bench is a sophisticated piece of furniture. Building it demands as much precision and attention to detail as any indoor project. It also incorporates features that give it the needed strength and durability to face the elements. 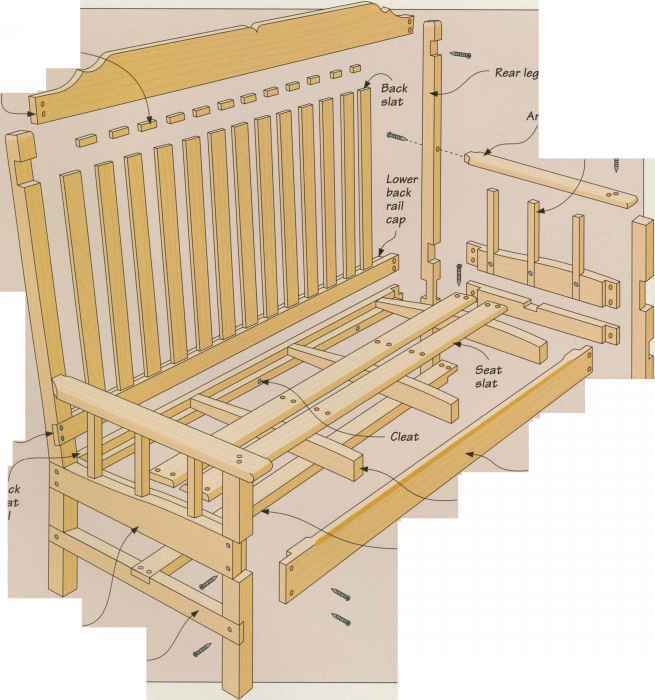 The bottom ends of the arm support and back slats, for example, are housed in dadoes that extend right through the rails, allowing any moisture to drain out. 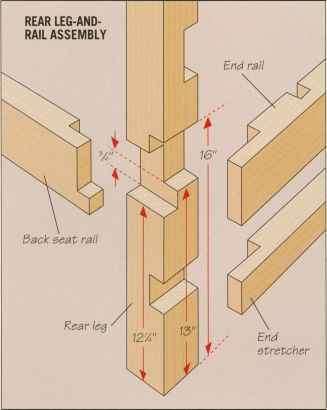 To make the bench, start by assembling the legs and rails, then add the arms and their slats, forming the two end units. 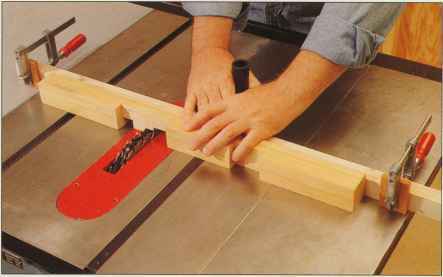 Next, install the longer pieces that bridge the ends, such as the front seat rail and back rails. Finally, finish the seat and back. To ensure that all the surfaces of the bench are uniformly smooth when the time comes to apply a finish, sand the pieces before fastening them in place. Final measurement. 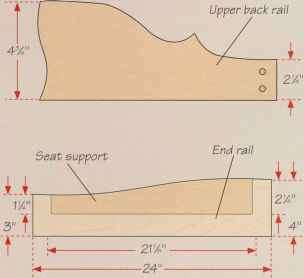 Stock should be wider to accommodate curve of leg. 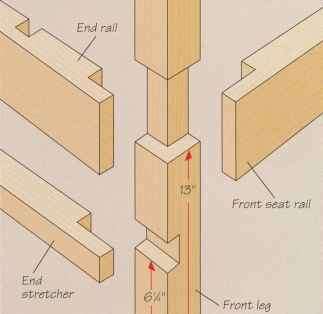 How to build a garden bench?